The day has finally arrived for those anxiously awaiting baseball fanatics…Opening Day 2019! It’s time to get back to the ballpark and cheer on your favorite teams this MLB season! There is no better way to show your team spirit than with custom baseball inflatables. Get your fans active during game day with inflatable baseball games that are perfect for any age. No matter where your team plays our inflatables can go on the move with you! The fans here at Inflatable Teams wants to wish all MLB teams good luck for this season! We can’t wait to cheer everyone on and see our amazing baseball inflatable across the country. 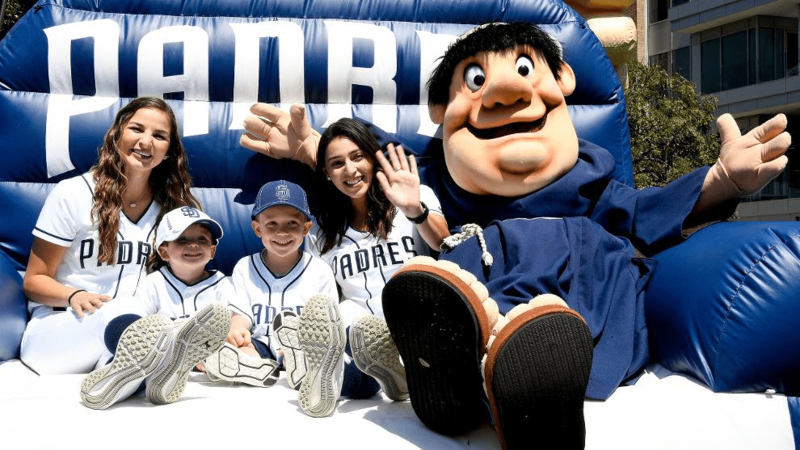 San Diego has recently become home to many sports teams! From lacrosse to football to hockey and baseball, we are proud to be headquartered is such a sports hot spot! Inflatable Team is the go to sports inflatable provider! 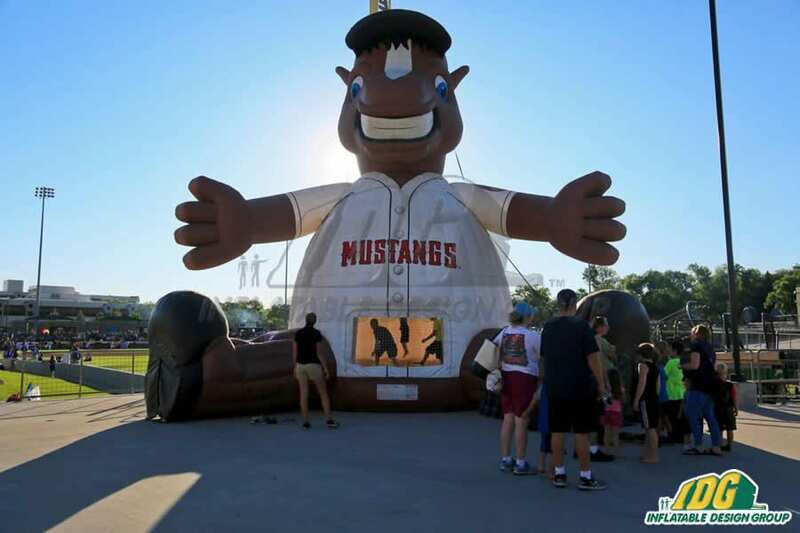 Create larger than life inflatable for your team for any sport and any season. Our team has over 25 years of experience making the highest quality inflatables. 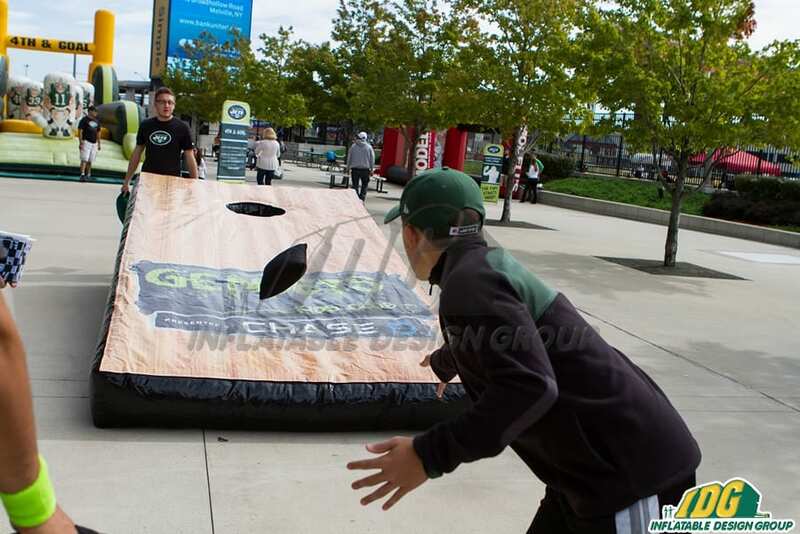 Have your fans jump into the action with inflatable games or represent your team with a giant inflatable logo. Our mission is to bring your vision to life! Here at Inflatable Team, we are ready to fill all your promotional needs! Vendor tents and table covers give your team a hassle free addition to any game day. Utilize your tents and table as a pop up will call or great display area for your sponsors! 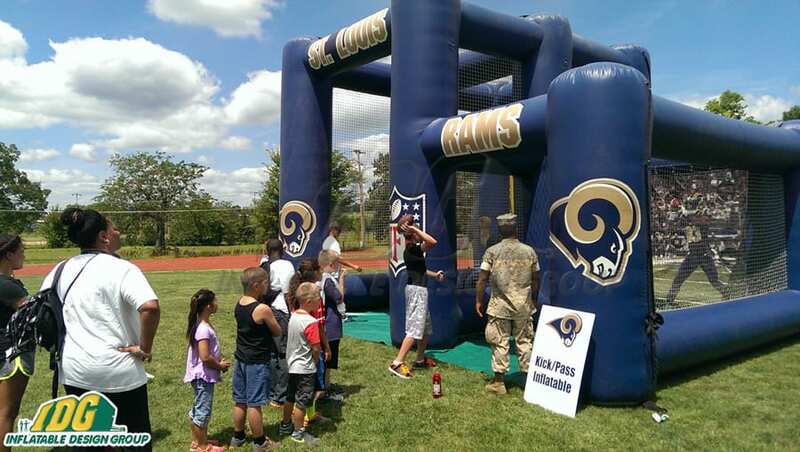 Transforming your game day has never been easier with Inflatable Team at your side! Design your vendor tent and table cover to have your teams colors and logos. Utilize all of our amazing products to create the best game day experience for your fans! We are so excited to welcome so many new teams to our San Diego home! Dominate your game day with inflatable arches & entryways! 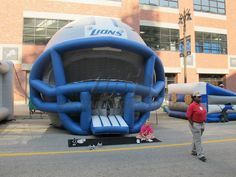 Inflatables are one of the best ways to amp up your fans for game day. Create a walk in that will make your fans feel famous. With an extensive line of options you can design any type of entryway or arch! Our team produces high quality, attention grabbing pieces that are perfect for any event. Open up to the world of possibilities with custom inflatables for your team and school! Inflatable arches are one of the best multi use inflatable products for your team to have! Customize your archway to show off your team spirit or put a fun twist on your mascot. 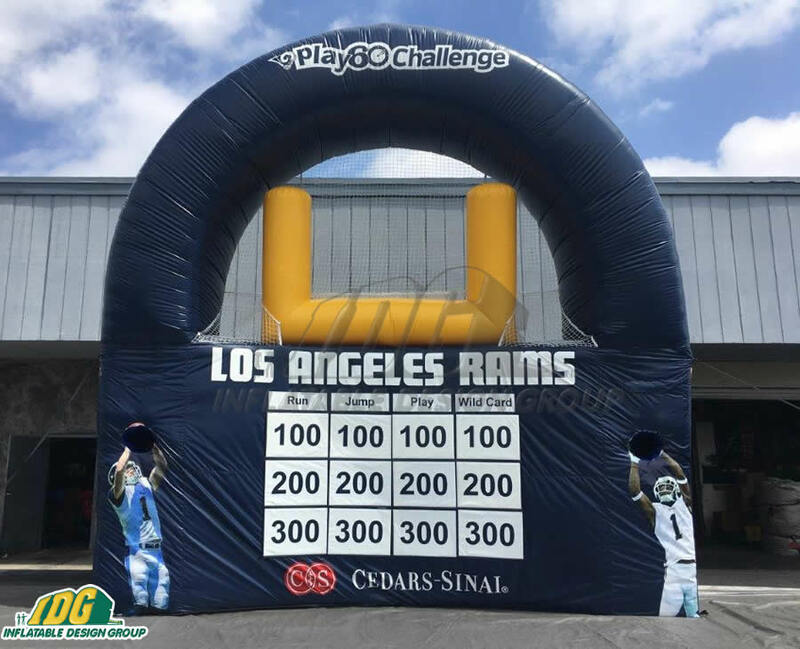 Inflate your archways outside the stadium to give fans an all-star entrance and then pack it up and take it to all your events with you! 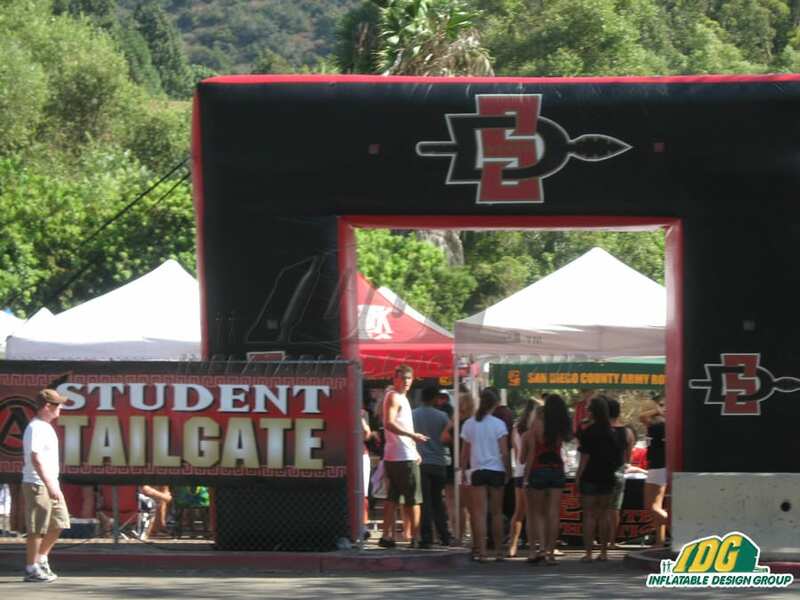 From 5Ks to on campus events, inflatable archways provide visibility for everyone to notice your team! 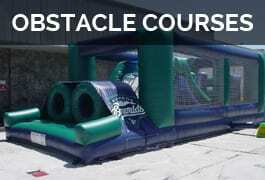 Inflatable arches & entryways give you an extra boost for your team spirit! 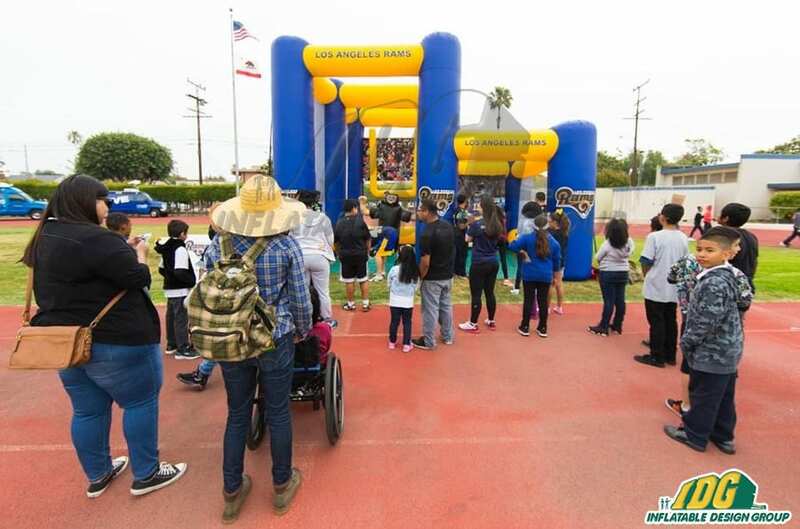 Nothing amps up the crowd before a game more than an inflatable entryway! 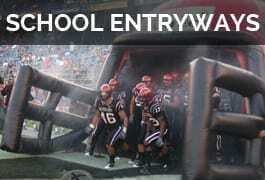 Give your players the entrance they’ve worked hard for with a fully custom inflatable entryway. 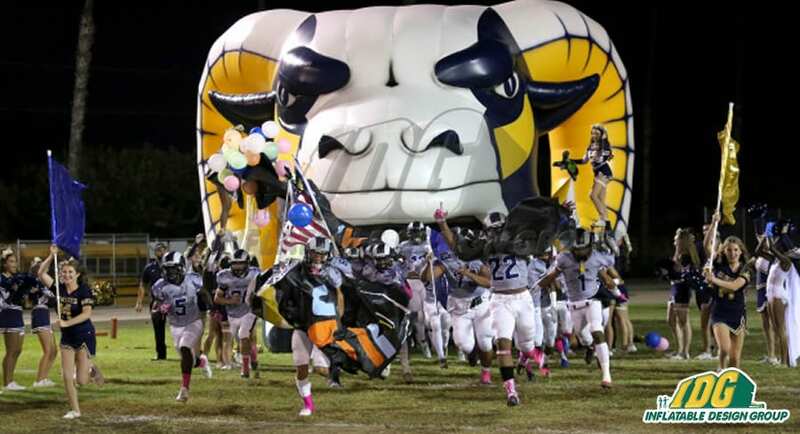 Imagine a larger than life tunnel with your mascot or your school’s logo! Add to your inflatable with fog, lights and more! The opportunists are never ending with an inflatable on your team. 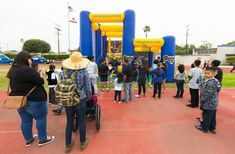 High schools, colleges and professional teams can all make the most our of inflatable arches & entryways! 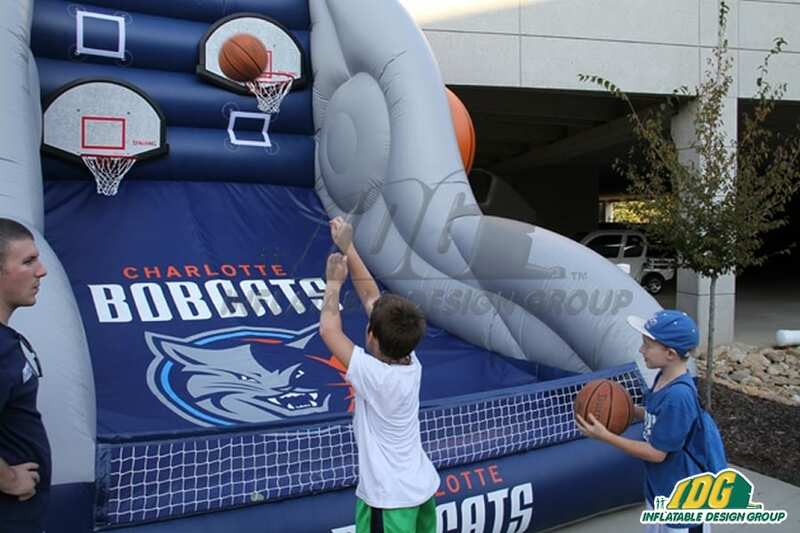 From shooting hoops to slap shots and grand slams, inflatable logos are the way to go for any team. Inflatable Team has over 25 years of experience in designing and creating the highest quality inflatables. Our portfolio ranges from some of the biggest teams in sports to high schools across the country. There is no project too big for our team to tackle with you! 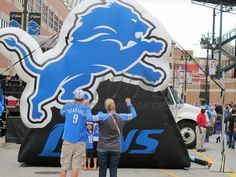 Nothing represents your team better than giant inflatable logos! Set up your inflatable in mere minutes so, game day is a no stress event. Take down your inflatable just as fast and take it on the go to any away game or event with your team. With custom colors, sizes and designs, your logo is sure to stand out in the crowd. Give fans the insta-perfect moment with photos in front of an amazing inflatable logo! We make the process easy and efficient so your inflatable journey is exciting from start to finish! Start with ideas and we will transform them into a sketch of what your inflatable masterpiece will look like. 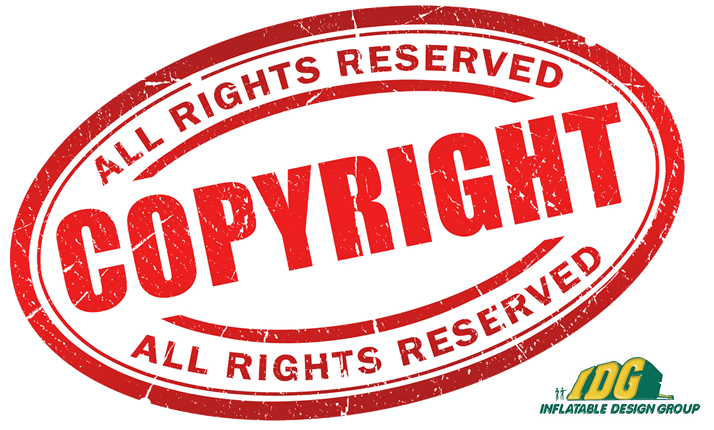 Then, let our team work their magic and before you know it your inflatable logo will be shipped off and delivered right to your team! As February flies by, teams are gearing up for March Madness! The basketball world is buzzing as collegiate teams brace for Selection Sunday in just a few short weeks. 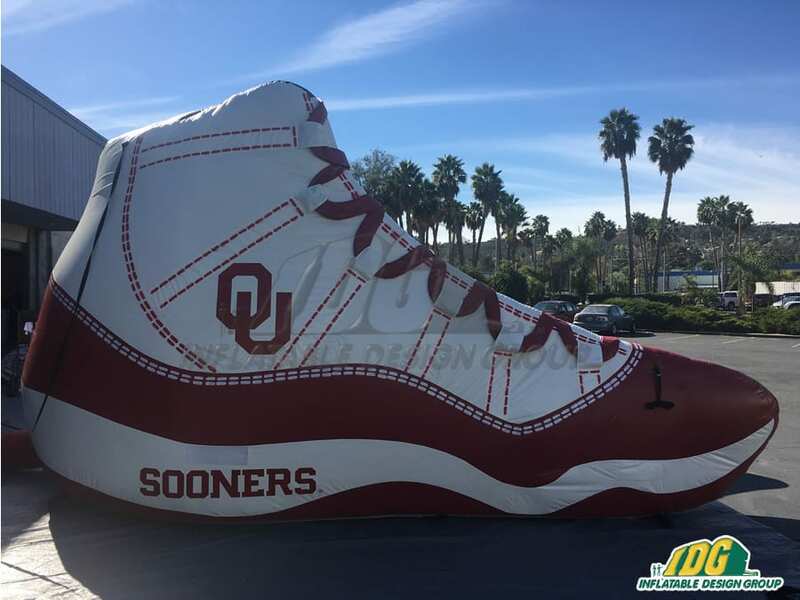 Root for your favorite team this season and get ready for an inflatable takeover at courts across the country. Perfect your basketball skills with our massive line of inflatable basketball games. Cheer on your favorite team alongside giant inflatable mascots and couches! 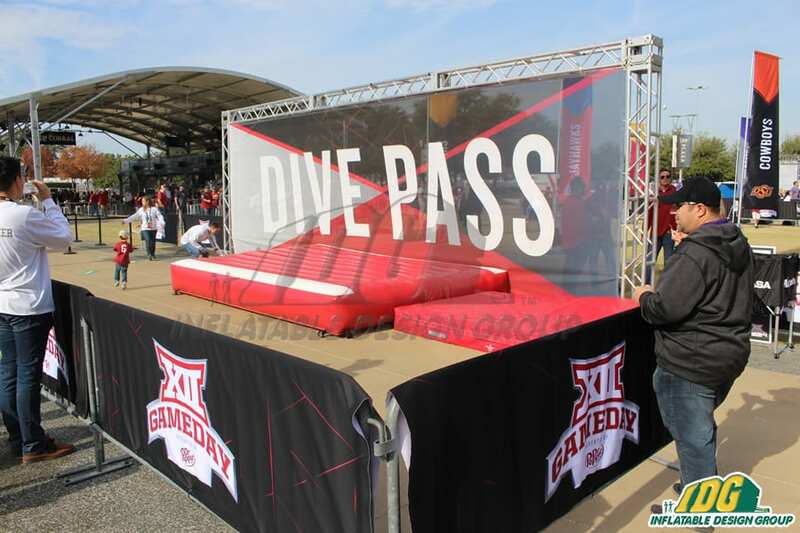 The game day potential is endless with the help of inflatables from Inflatable Team. College tailgates are the perfect time to get fans pumped up for game day! Create an eye catching fan zone with a variety of basketball inflatables that fans of any age can enjoy. Let the little ones jump around in an inflatable bounce house. Go for the slam dunk with inflatable free throws and jump shots. Get the buzzer beater and take home the win with custom inflatable basketball games from Inflatable Team! Bring in new levels of team spirit with giant custom inflatable mascots. Our team can bring your mascot to life with custom designs! Sport the teams jersey or school colors with one of a kind inflatable mascots. Our mascots are the perfect court side compliment for photos, half time shows and more! Our team is ready to make your inflatable dreams a reality. Contact us now to gear up for next season! This weekend the country is gearing up for football’s biggest game of the year! We geared up by producing awesome custom football inflatables for both of the top teams. 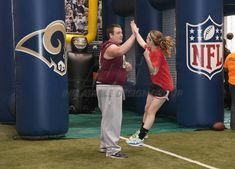 From the NFL to colleges and high schools, Inflatable Team is your go to for inflatable football games, tunnels & more! So, check our our awesome line of football inflatables and get ready for next season! Ram the Competition with Inflatable Football Games! 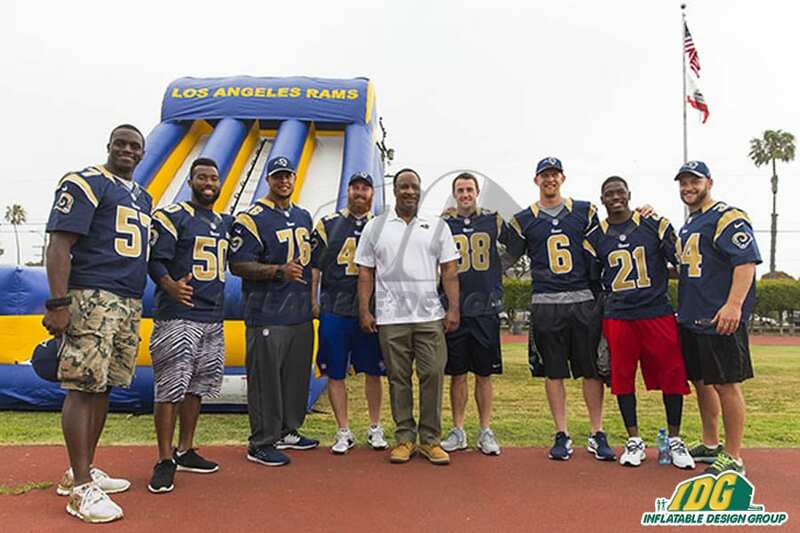 Get pumped for game day this weekend with the Los Angeles Rams with inflatable football games. 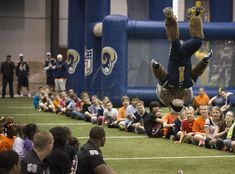 From dual kicks to slides and more, the LA Rams have one of the best fan zones in football. Keeping their fans ready for game day brings the team that much closer to a win! Custom football inflatables bring the wow factor to any team’s game day. Fans are ready to bring that enthusiasm to game day this weekend as their cheer on the Rams in the big game! The Patriots are clearly seasoned pros when it comes to the big game. Nothing sets a winning attitude more than making a killer entrance. Inflatable entryways are the biggest show stoppers in the game. Our team creates massive, custom creations that fit entire NFL teams. 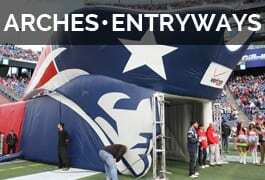 Run out on game day ready to win with an inflatable entryway designed especially for your team. 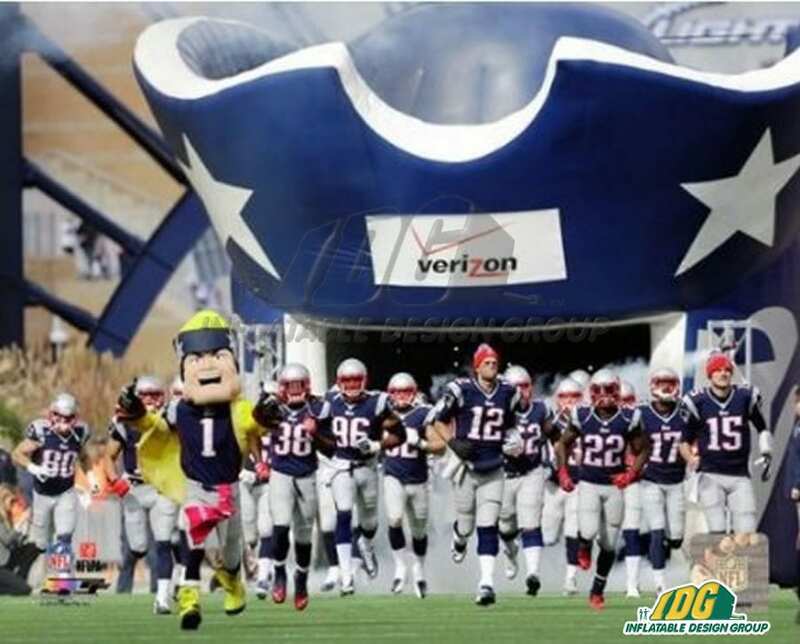 The Patriots are no exception and even have their own stellar inflatable entryway from Inflatable Team! Score a GOAL with soccer inflatables from IDG! Kick your season into high gear with our incredible line of inflatable soccer games! 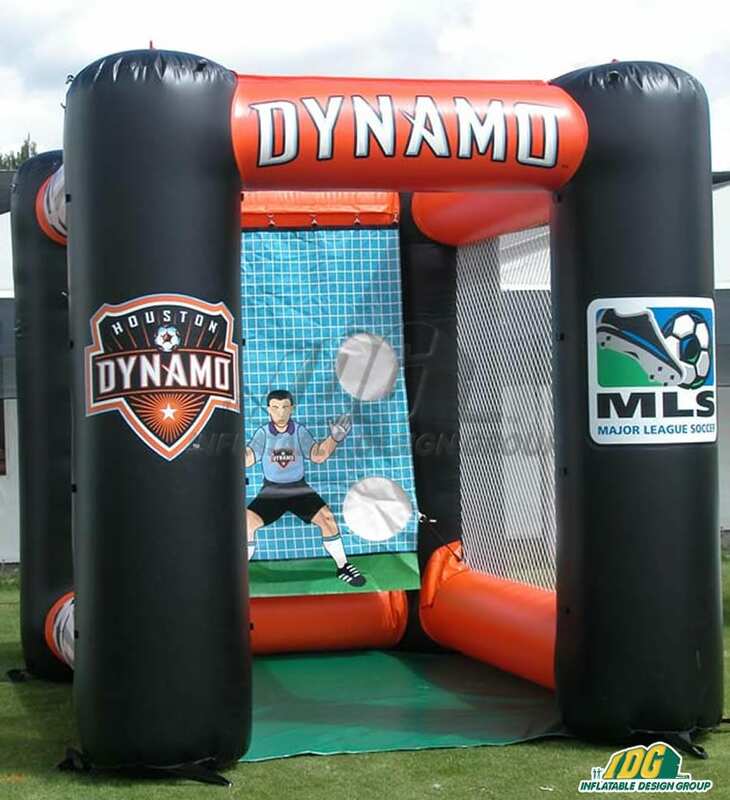 Soccer inflatables are the best way to bring flare and attention to your game and getting your fans involved. 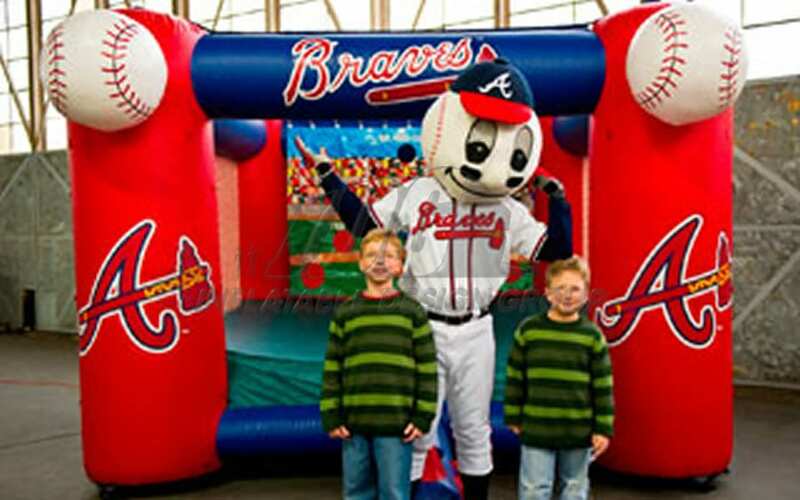 Get fans photo op ready with inflatable logos and custom inflatable mascots. Represent your team no matter where you play with inflatable mascots. 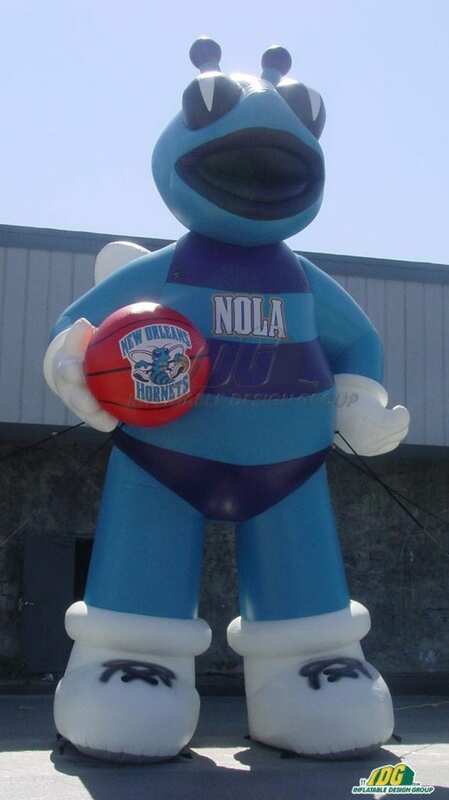 Each inflatable is custom made with your team colors, mascot and logo! 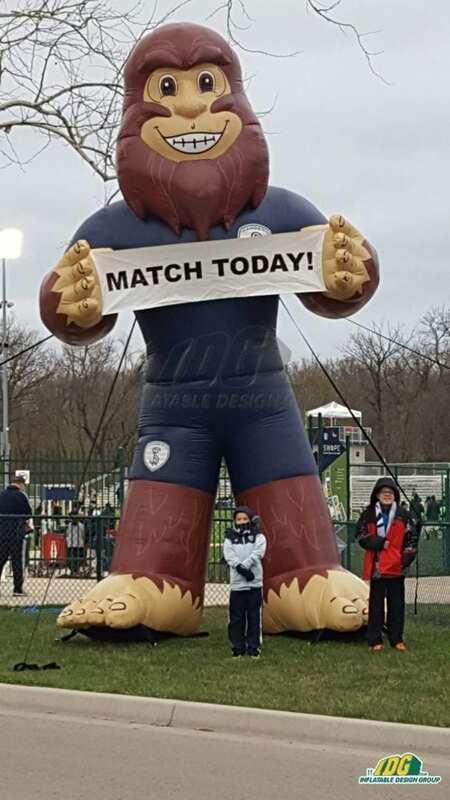 Jazz it up and have your mascot sport the team jersey this game day with an inflatable mascot from Inflatable Design Group. Our massive line of high quality soccer inflatable will give your team all the options for game day. Hype your fans up with custom inflatable soccer games to get the blood pumping before game time! 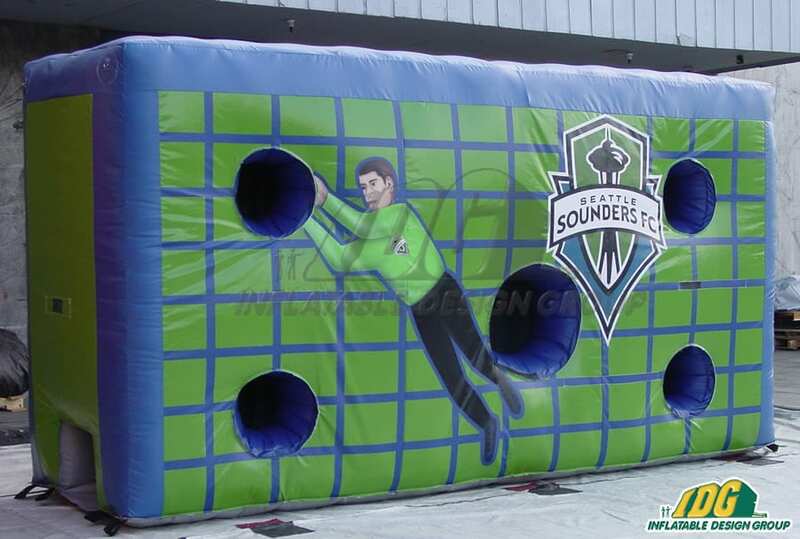 Feel like the players do with an inflatable target wall. Fans can test their kicking skill with more than one game. From target walls to flat tops, kick with the fans all game day long! Keep the excitement level up with inflatable soccer fields for the whole family to play in.Put inflatables in your line up this season to wow the crowd and make your game days the best yet. 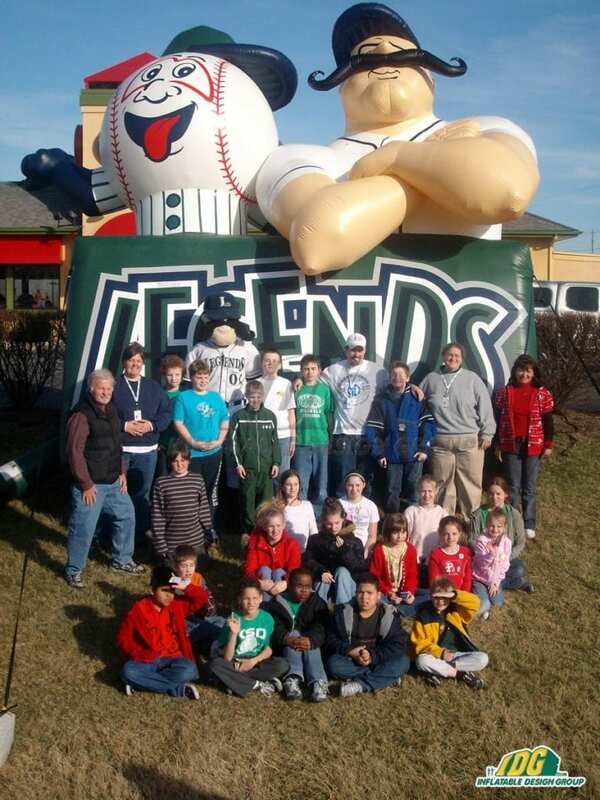 Our team has over 25 years of experience creating one of a kind inflatables for hundreds of teams across the country. 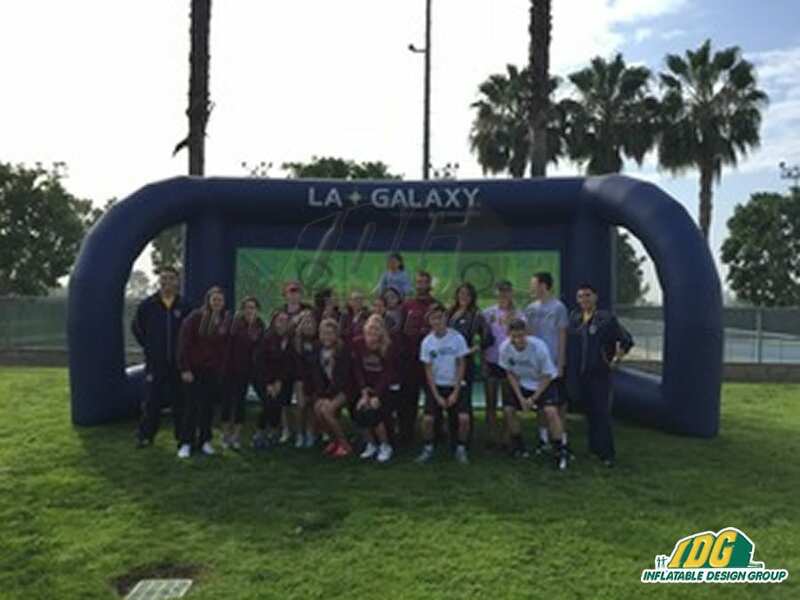 Let us help you take your team to the next level with custom soccer inflatable this season. Add to your field with more than just inflatables! Inflatable Design Group offers top quality vendor tents and table covers. Vendor tents are the perfect multi-use item for games days. Set up as an on the go will call booth or give your sponsors a stand out section with custom vendor tents. Add a table cover to complete your brand image. 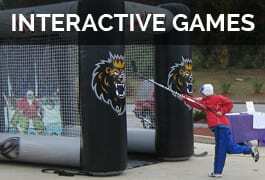 Make your team the best it can be with next level marketing through vendor tents and inflatables. Our IDG team is ready to team up with you! The Eagles might be in the running for the playoff which means now is the time to get your custom football inflatable just in time for the big game. Inflatables are a great way to turn any stadium into a fanzone fantasy. Nothing says game day like a tailgate, dedicated fans and awesome football inflatables! Inflatable games are the best way to hype up fans on game day and get them involved. 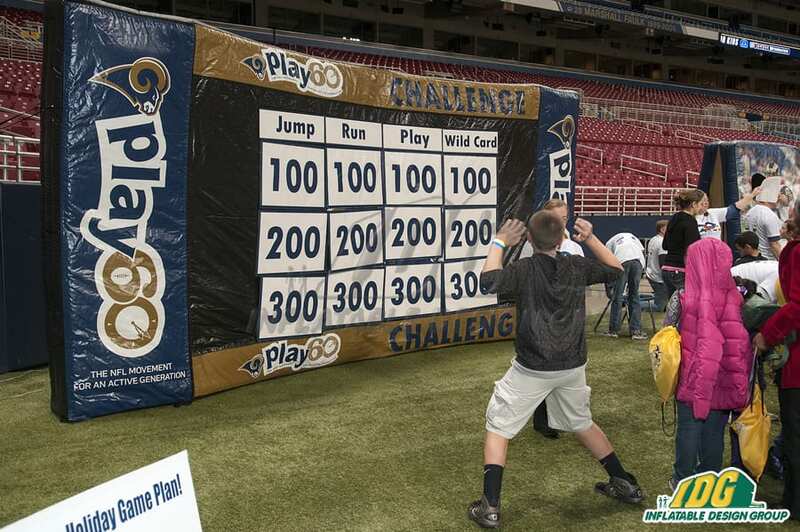 Become the league’s best kicker with our inflatable field goal kick. Friendly for all ages, everyone in the family can test out their game day football skills. 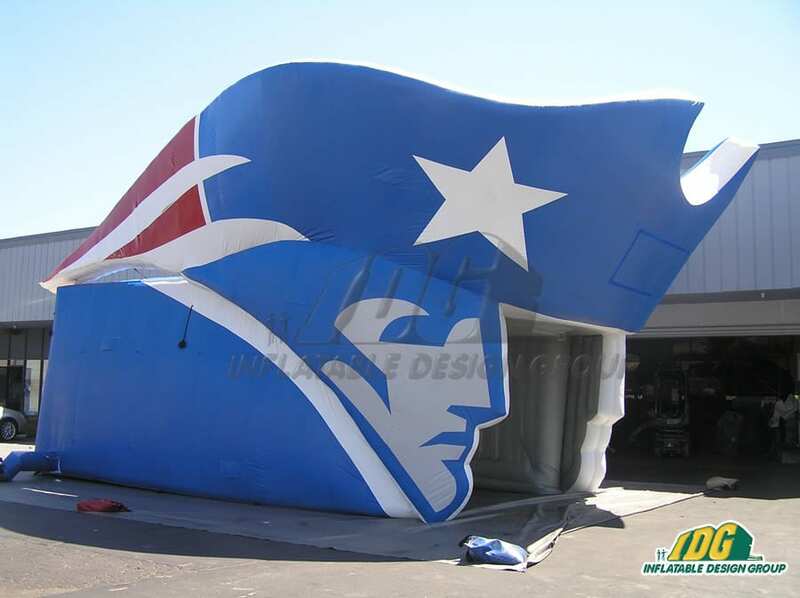 Show your team spirit with a completely custom inflatable with team colors, logos and slogans! 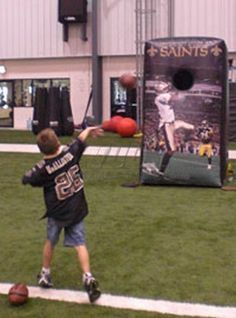 Add to your collection with a Mini QB Toss and target wall for fans to test out their throwing arm. 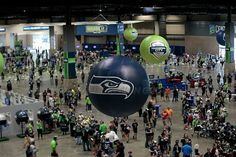 With over 15 inflatable football games, you can create the best fan zone in the NFL! Once your fans are pumped up and ready to cheer, your team will be sure to take home the win. Create a FANtastic photo op with a giant custom inflatable mascot! From horses to eagles to rams and everything in between, IDG has your team covered! 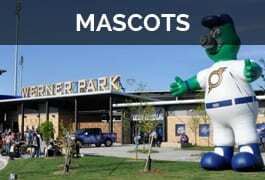 Make your inflatable mascot larger than life to make your stadium stand out. Inflatables bring a unique twist to every game day. Our team ensures that our inflatables are built to last with the highest quality materials. There is no one better to work with than the IDG team. Mascots are just one option of many with custom football inflatables. Be sure to keep your eyes open for our inflatables this season! We love working with NFL teams across the country to bring their game day vision to life. Another Great Year for Sports Inflatables! As 2018 comes to a close our team would like to say thank you for another amazing year filled with sports inflatables! Inflatable Teamis proud to be your go to inflatable manufacturer! We have worked with some awesome teams and schools to make their inflatable dreams come true! 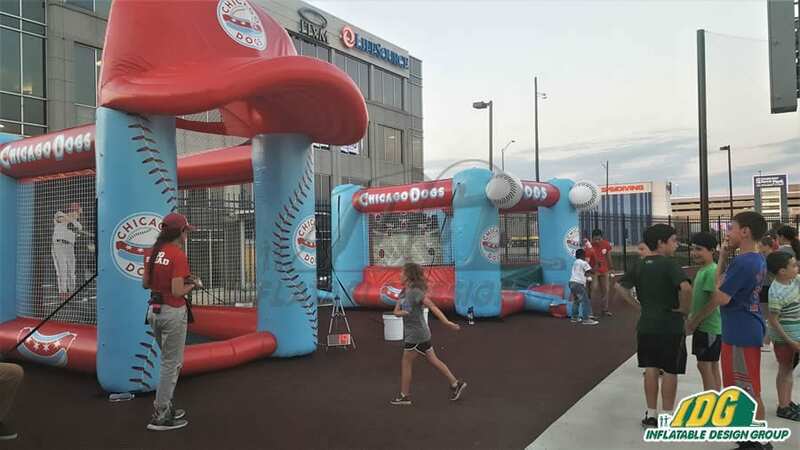 From logos, entryways and custom photo ops, our team brought inflatables to life. 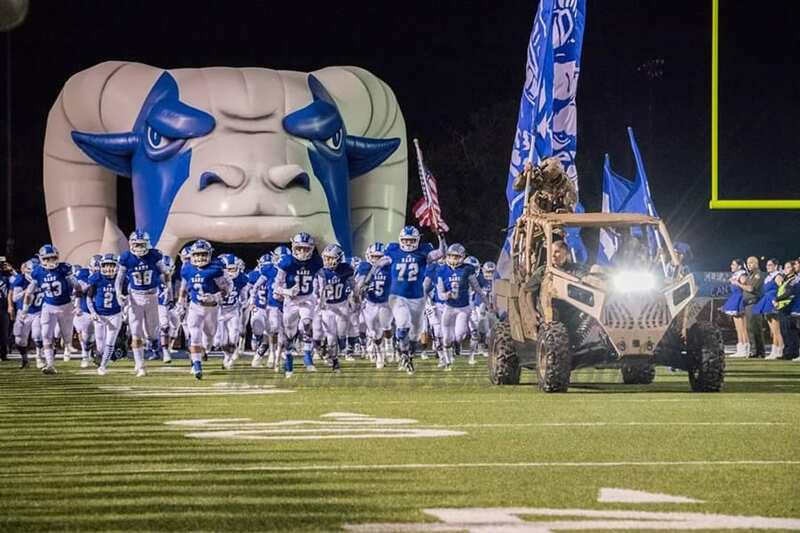 2019 can be your year with a custom inflatable to represent your school or team. Nothing brings more spirit than awesome inflatable games and entryways! New Year, New You, New Sports Inflatables! 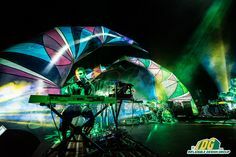 Don’t miss out, contact us today to begin your inflatable journey for 2019! Our team will assist you from start to finish with one-of-a-kind designs all the way to receiving your inflatable. 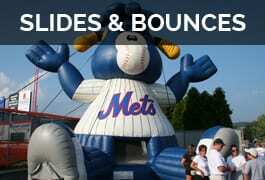 Amp up your marketing strategies or show fan appreciation with unique inflatables all year. Sports inflatables are the way to go in 2019!